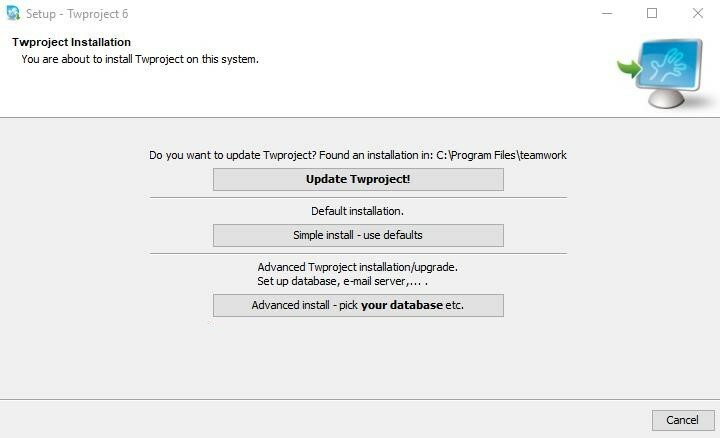 Twproject release 6.3 include the upgrade to Apache Tomcat 7, so before proceeding with the upgrade read this post carefully. Before proceeding do a complete upgrade. In case you have installed Twproject with the graphic installer you can proceed as usual, download the new installer and launch it, it will upgrade the folder for you. and change the port number to your preferred one, then restart the service. If you have HTTPS enabled you have to configure the new server.xml as the old one. In case of a manual installation, that is already running on Apache Tomcat 7 you can proceed with the standard method: download the new webapp folder and upgrade it on your server. If instead, you did a manual installation on Apache Tomcat 6 or lower you need to upgrade the webserver before upgrading the Twproject Webapp. If you installed Twproject manually running on a different Web Server you have to check that it includes Web Socket support, as per Tomcat References RFC 6455 and JSR-356.